In Part 1 of Gucci serial number check, we have discussed closely the Gucci font. This is a great start off point on how to tell if a Gucci bag is real (or fake). 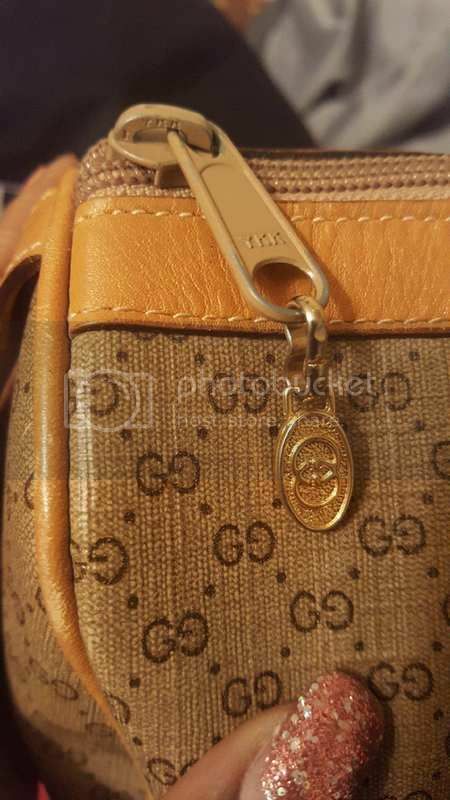 There’s also an in-depth information on vintage Gucci bags’ leather tag and serial number. We continue here at Part 2 with another style of Gucci leather tag and serial number. This is mostly found on bags from the 1990s, even until the early 2000s. 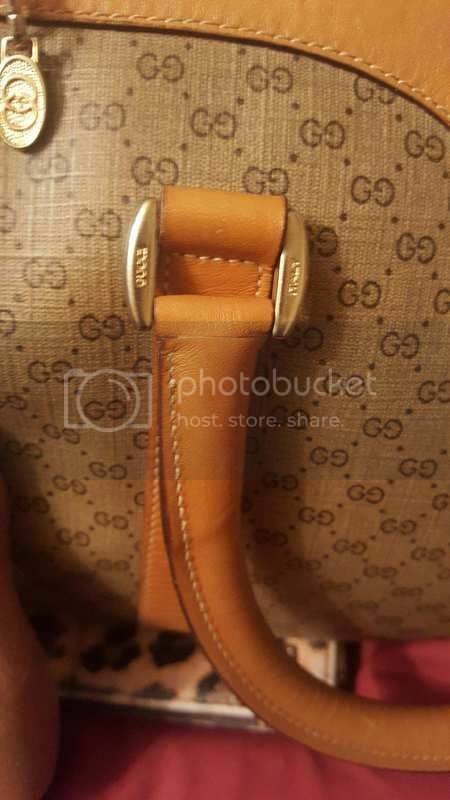 If you are familiar with a contemporary Gucci Interlocking bag, they have the same logo — only that this is not made with a silver hardware. If you look at how the GUCCI is written, it follows the correct font discussed here. Just like vintage bags, the serial number is clustered in groups as well. However, there are authentic bags that have groupings of 4 as well. The next two photos are interesting examples. Both of these leather tags and serial numbers came from two different bags of the same style: a Gucci nylon canvas tote with silver hardware and diamante lining. Interestingly, the white version shows a serial number 002.2123.0456, while the black version is 002.2123.0457. As opposed to what you might have already read, there is exactly no reason or rhyme as to what exactly in these numbers determine the style. The color of the leather tag must also match the color of the bag. A white leather tag should not be found in a black bag, nor does a brown leather tag be found in a white bag. A quick note about Gucci serial numbers: they are not unique. Just like a Louis Vuitton date code, the same set/combination can appear in a number of bags. In the next post, I will be discussing the newer style leather tags. 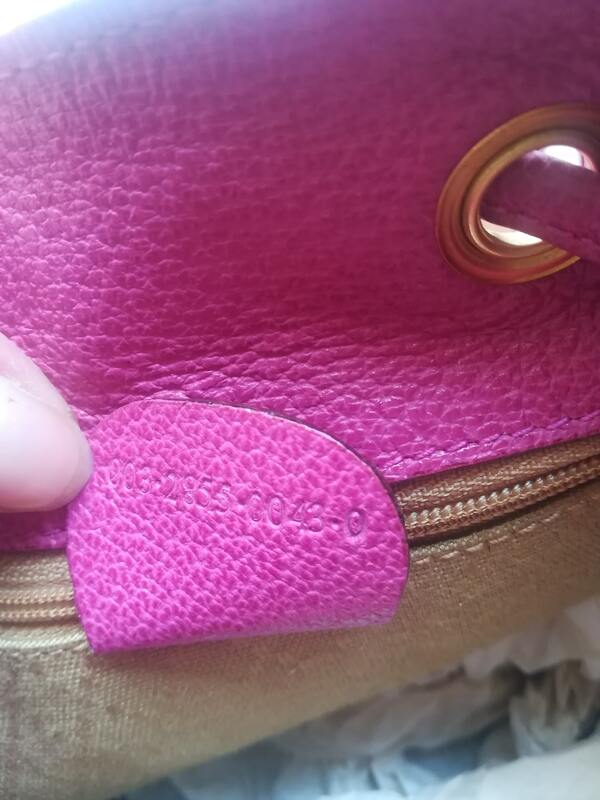 This is the type of tag we usually see in contemporary Gucci bags, which should need your utmost attention. Hi! This kind of combination does exist. But to be sure, post a link to photos so we can have a look. Cheers! Hi! I don’t see any link for the photos. 8769. Is it real Gucci? Hi! You can post photos through a link for an image hosting site like Photobucket. I can then help you look at your Gucci bag if it is fake or authentic. Cheers! First, the tag only has GUCCI which has all font features that authentic Gucci tends to have. However, it does not have Made in italy. Second, there is no serial number at the back of the tag. I’m not sure if this has to do with the old style or not. Other than that, the bag looks quite good quality and material seems quite good. It weighs quite heavy and has wears that a vintage bag you would expect to have. Will you say it’s a fake or not? Hi! This is an authentic vintage Gucci Accessory Collection bag. Cheers! Hello! I hope you can help me with this (: I just bought this bag and I’m hoping it’s authentic. Fingers crossed! Can you please help me? Hi! This is an authentic vintage Gucci boston bag. Cheers! HI so it’s okay that is doesn’t have the trademark symbol on the tag the R with the circle ? Yes, it is not unheard of. Cheers! Hello! I just found your blog and I’m obsessed! I love your posts. I am a newbie and they are very informative. I appreciate that you take the time to do this. 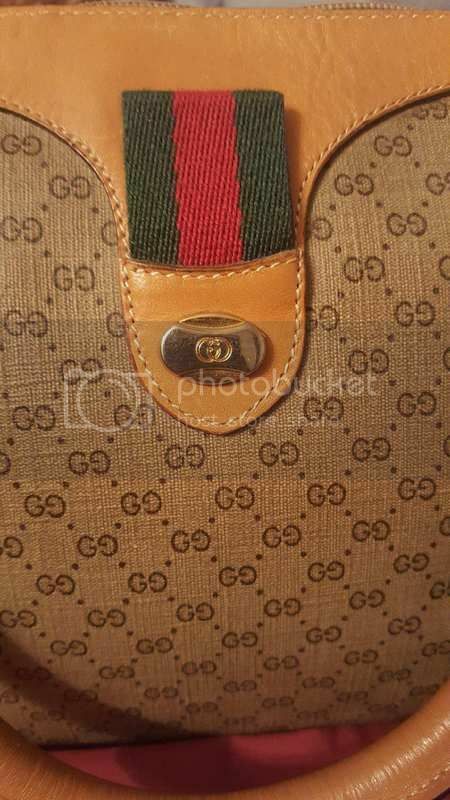 I am looking to purchase a vintage Gucci bag. May you please help me determine if this bag is authentic? I am a first-time buyer so I want to make sure I am purchasing the real deal. Thank you! Also, I asked the seller for a picture of the serial number behind the tag and she sent it to me in my inbox. Hi! Glad to hear you find the Gucci authentication guide helpful. The Gucci pink Gucci suede backpack with bamboo handle is authentic. Cheers! Hi! You”re most welcome. Don’t worry, this is an authentic Gucci bag. Enjoy! Hi, this is an authentic Gucci sling bag. Cheers! Hi could you please help me determine if this bag is authentic? The zipper pull on the inside pocket and the tag looks right to me but Im concerned about the font of the U on the outside zipper and the lack of markings on hardware ie. feet and clasps of the additional strap. Any assistance is greatly appreciated. Hi! The link is no longer working. Cheers! Hi, I recently found a vintage navy monogram hobo bag with a gold tag that has “Gucci” in cursive and Italy on the bottom; it does not have “made in Italy”. Have you seen any tags like this on older Gucci bags? Thanks for any help! Hi! Kindly provide photos of the bag so it can be inspected closely. Cheers! Hi Nicole! 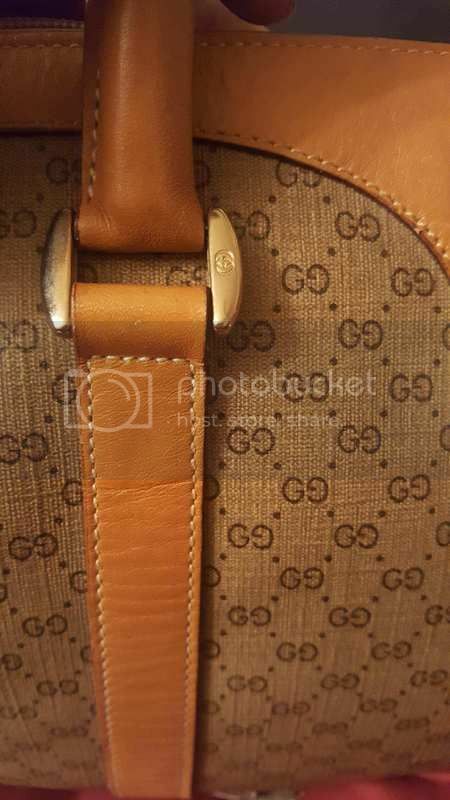 This vintage Gucci monogram hobo bag (now called Jackie) with serial number 001.98.46/1214 is authentic. Cheers! Hi Nicole! This is a beautiful and authentic Gucci Bouvier bag with serial 001.98/46/1214. It is currently called a Gucci Jackie bag. Wow! Thank you so much for your time! Hi Wenaerz! 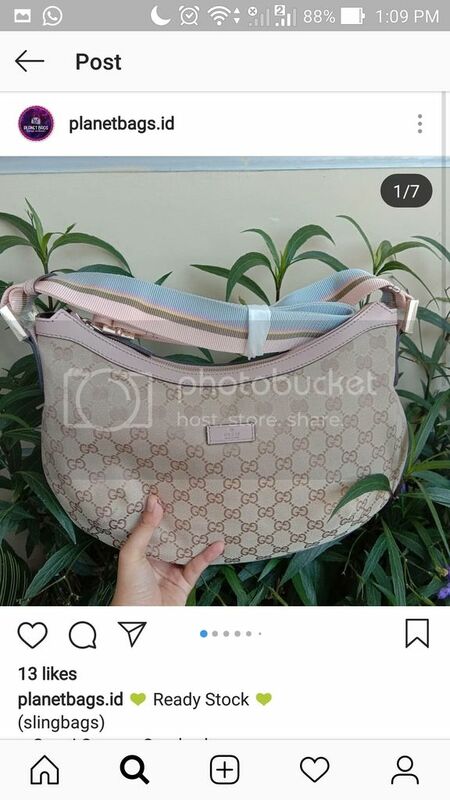 This Gucci Monogram Boston Bag with serial number 247205 4650 is, unfortunately, fake. HI! I just purchased this Gucci bag on Poshmark. It doesn’t look authentic. Can you confirm? Hi Maria! In my opinion, this black Gucci monogram hobo bag with serial number 152280 001364 is authentic. Cheers! Hi! This Gucci bag is authentic. Cheers! Hi Mary! 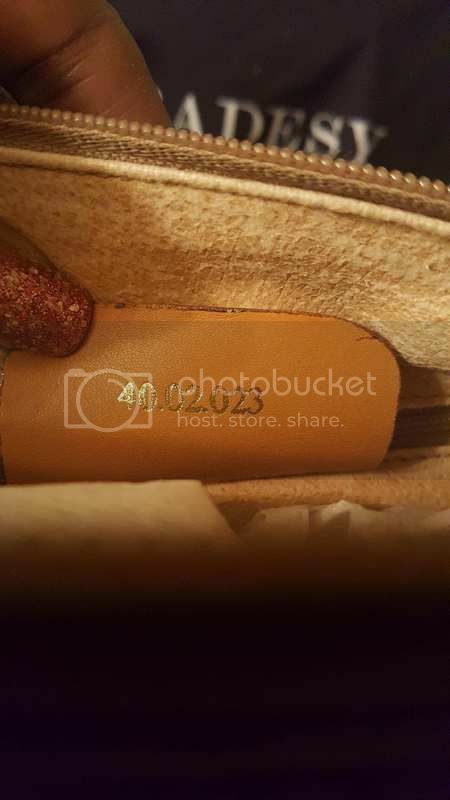 Kindly upload clear and detailed photos of the bag on Imgur or Tinypic, then upload the links here to check. Cheers! Hi Nana! 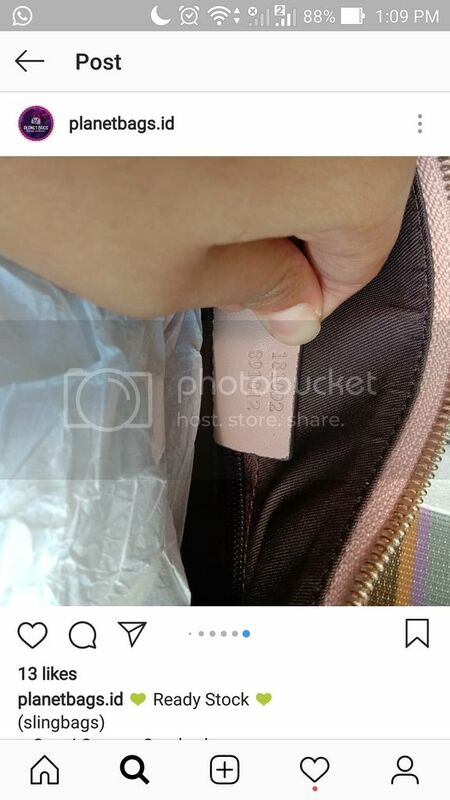 This Gucci monogram bag with serial number “181092 891012” is fake. Also, saw the seller’s private Instagram page, and “BRANDED BAGS FACTORY OUTLET” doesn’t sound right to me. I would stay away, if I were you. Hi Raquel! 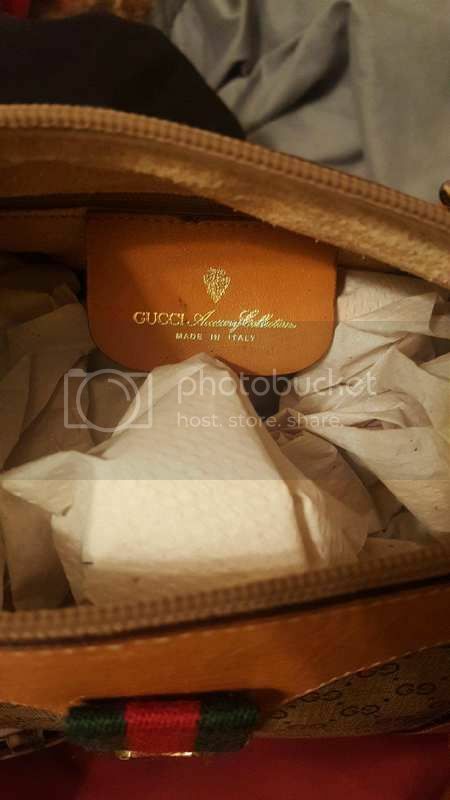 For this free Gucci bag authentication, I will be needing clear photos of the Gucci bag, especially the Gucci tag and serial number. Please upload on Imgur or Tinypic, and put the links in your comment. Cheers! Hey could you have a look at this and let me know your opinion on it’s authenticity, thanks! Hi Ami! This Gucci monogram pochette with serial number “07198 2123” unfortunately has red flags. I would not be comfortable buying this. Cheers! Hi Tempestt! You may try BAGAHOLIC 101’s Gucci bag authentication service for only a minimal fee of US$ 5. More information here: https://bagaholic101.com/gucci-authentication-service-by-bagaholic-101/ . Cheers! Could you please help with this bag? I’ve been wanting one for years! Thanks! 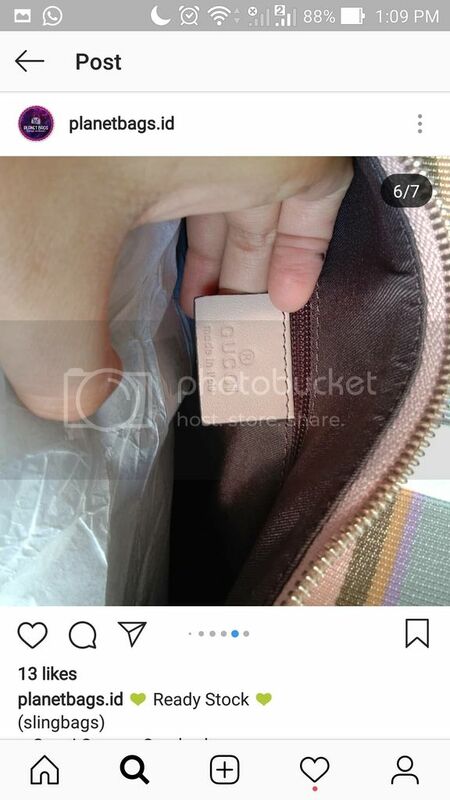 Uncertain of lining (thought it was typically suede or diamanté), Gucci interior tag seems imprinted off centre, unsure of serial combo and if zipper pulls are either in great shape or seem plasticky? Thanks! Hi Baglover! You may try BAGAHOLIC 101’s authentication service for only US$ 5. More information here: https://bagaholic101.com/gucci-authentication-service-by-bagaholic-101/ . Cheers!